African SMEs are looking to outsourced IT and cloud solutions to run their businesses, creating opportunities for local tech providers. SMEs across Africa’s emerging markets have become increasingly tech-savvy, leveraging technology to reach larger audiences, even though the financial and human technical resources associated with IT and cloud services can bleed a smaller company dry. Now more than ever, SMEs are outsourcing solutions by global giants, and a growing number of local IT and cloud service providers are also tailoring their services specifically to African clients. A new market is emerging – that of local African SME-sized service providers taking care of the SME space. Could the clock be ticking for global corporates in Africa? Perhaps the most prominent giant active in the IT support services space is Amazon, which launched its Amazon Web Services (AWS) branch in 2006. Catering to both large, established companies and smaller businesses worldwide, AWS offers more than 50 services to the market, through an on-demand, pay-as-you-go model. ‘The best way to describe AWS is that it gives customers access to on-demand IT resources via the internet with pay-as-you-go pricing,’ says Attila Narin, head of technology and solutions architecture at AWS EMEA (Europe, the Middle East and Africa). Instead of buying, owning and maintaining their own data centres and servers, organisations can access technology on an as-needed basis. With cloud computing, AWS manages and maintains the technology infrastructure in a secure environment and businesses access these resources via the internet. ‘It’s similar to how consumers flip a switch to turn on lights in their home and the power company sends electricity,’ says Narin. The key benefits of AWS services include the fact that businesses do not have to bear any upfront capital expenditure; are able to focus and allocate resources as required with the company, as opposed to spending on equipment infrastructure; and that the services provide elastic capacity – with clients able to scale up or down on demand. African enterprises have been eager to take up AWS’ services. Narin says the company has clients across the continent, including a number of established, high-profile SMEs, including South African travel bookings site Travelstart and Nigerian e-commerce store Konga. ‘By using AWS, [Travelstart was] able to take on a multi-continent expansion in an agile manner, and has been able to rapidly grow their Middle Eastern business using AWS while reducing downtime by 25%. The scalability of the AWS cloud allows Konga.com to respond to capacity requirements almost immediately and prevents unforeseen downtime through comprehensive backup solutions during periods of increased user capacity,’ he says. There are some challenges, Narin concedes, to deploying IT and cloud services in Africa, although he says these are not technical but rather psychological, with potential clients displaying a lack of willingness to relinquish control of technical infrastructure. Nonetheless, this reticence is easily overcome by understanding the benefits of having on-demand, scalable, pay-as-you-go services. And so to further reassure customers, AWS encourages clients to undertake AWS training and certification. 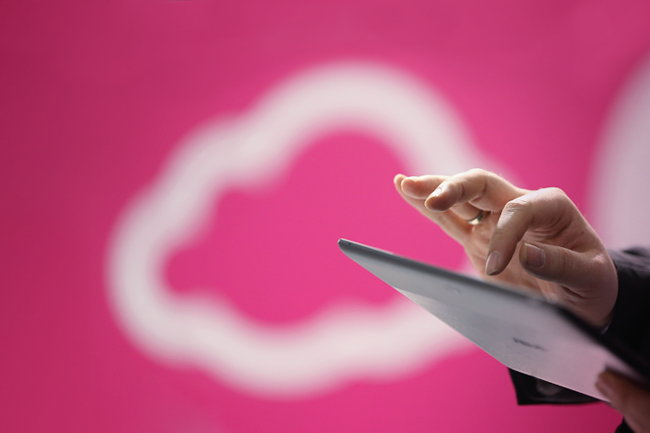 IT and cloud support is not only the remit of global giants, however. In Africa, local firms are increasingly serving the market. They believe that, as smaller service providers familiar with the local market, they are able to provide a more flexible and personal service to customers. Kenyan cloud provider Angani says over the past two years there has been – and continues to be – a rapid increase in appreciation of cloud services by Kenyan enterprises; and this trend will continue as more services are moved to the cloud. Angani CEO Riyaz Bachani says the company is able to offer all the same benefits as a larger service provider: lower infrastructure and facility costs, quick set-up and delivery times, and scalable and elastic capacity. He adds, however, that personalised local customer support is what sets smaller companies such as Angani above the giants. ‘Angani’s key proposition lies in the fact that our core investment is in service and support. ‘We realise that many corporate entities, especially SMEs, require IT services and need a reliable partner who can invest their time in guiding them through the pitfalls of IT deployment. Angani’s flexibility and commitment to customers assures them of this,’ says Bachani. According to Bachani, local cloud companies in Kenya do not receive the support necessary to allow them to compete effectively with global corporations, and more needs to be done to encourage local cloud hosting. ‘Stronger incentives need to be provided for local hosting in Kenya. Similar initiatives taken to encourage favourable trade import/export balances, need to be effected in cloud computing. ‘There must also be a conscious effort to encourage local data transfer especially among businesses and app developers. And regulatory requirements must be enforced for in-country hosting of applications and customer data, as is the case in the US and EU,’ says Bachani. South African company Magnetic also provides a unified cloud and mobile-based business management solution, and has seen 400% growth over the last 12 months – with clients from Kenya and South Africa adopting their solution, as well as customers from the UK, US and Australia. Founder of Magnetic Daniel Marcus argues that not only are SME service providers the future but also that they should focus on SMEs as their key customers. Further, he believes that African companies can do very well by serving pan-African markets rather than looking to global markets. ‘Personally, I don’t like to target the enterprise space – larger corporates – as the lead time is 100 times longer to close a client, and it feels like you are putting all your eggs in one basket,’ he says. ‘As a small business, cash flow is always an issue – having one or two large enterprise clients is great while you have them. But losing one can put a small business at risk or, even worse, force it to shut down. Marcus does, however, caution against viewing Africa as one market, and encourages SME owners to ensure they have a good comprehension of local markets before they launch operations, whether personally or by finding the right local partners.